Mophie is one of the most popular manufacturer when it comes to battery cases for smartphones. The company has battery cases for major smartphones, and it seems the company aims to add more devices to its portfolio. 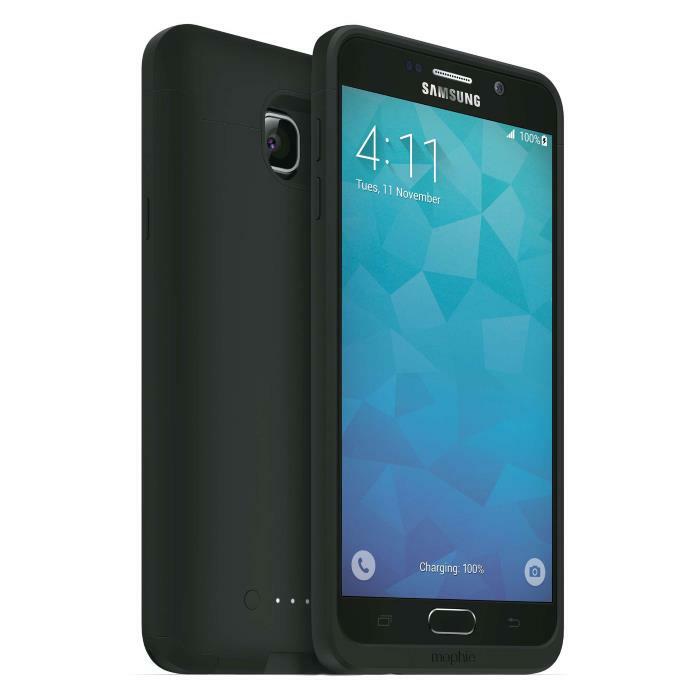 Recently, the company introduced the Mophie Juice Pack for the Samsung Galaxy Note 5, which the company aims can add 13 hours of additional battery time to for the handset. The Samsung Galaxy Note 5 comes with a 3000 mAh battery, but the Mophie Juice Pack adds an extra 2,500 mAh which can definitely give users more juice to last throughout the day. There’s a LED power indicator as well as a toggle switch to turn on/off charging as well as to let users know about the remaining power. The case measures 3.20in x 6.43in x 0.60in and weighs 3.2 oz so it may add a little bit of weight to the device. However, if you’re more concerned about the battery on your device, you will have to live with the slightly extra weight. The case is available online for $99.95, check it out using the link below.